Tweezers are on of the most inventive tools made for chefs. Whether you are making an artistic appetizer or an elegant dessert, using tweezers is a great way to take your dish to the next level. These helpful plating tools are often underestimated, but they undoubtedly help chefs succeed in making the best meals more quickly and with more precision. Modern tweezers that are used in cooking derive from science. In fact, the tweezers used by chefs today highly favor the ones used by doctors who save lives in surgery. The same delicate motion that extracts a bullet fragment from a body can be used to place a delicate sugar flower on a gourmet cupcake. For this reason, many chefs prefer using tweezers with fine tips, just as the ones used by surgeons. 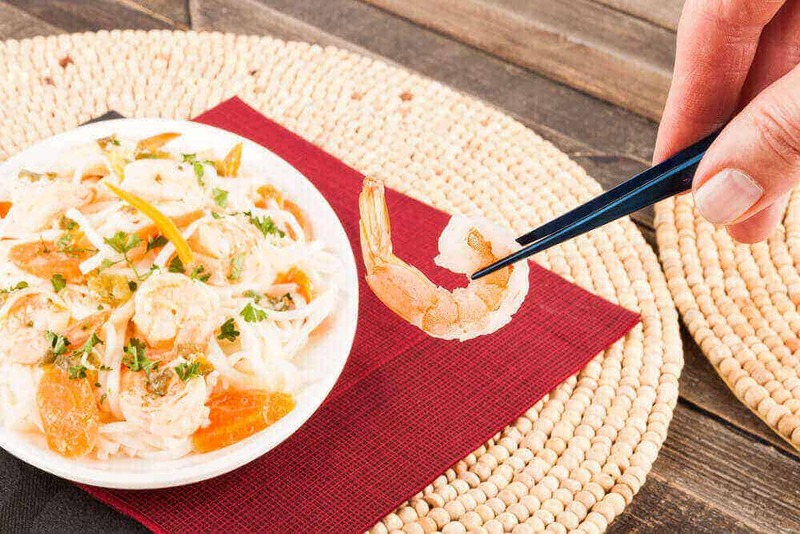 Tweezers and tongs also take influence from Asian countries where chefs have used chopsticks for centuries. 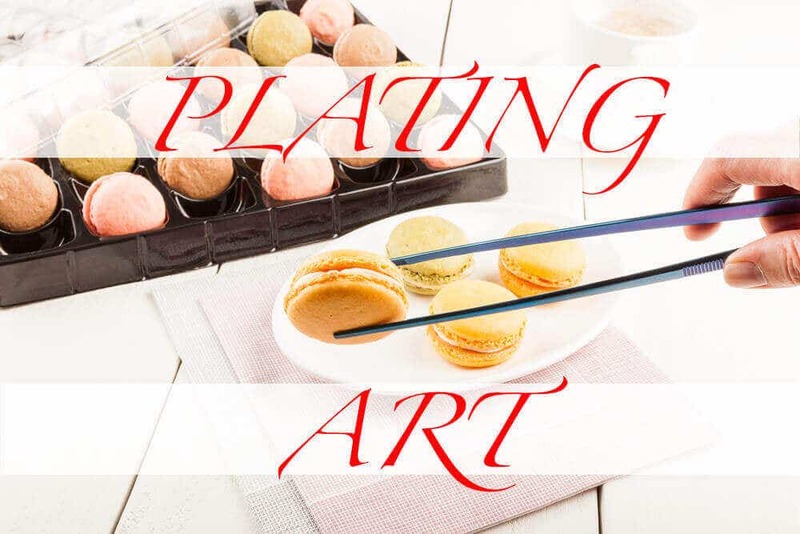 Not only are chopsticks used to eat in Asian countries, but they are also used to plate and decorate plates before they hit the table. However, chopstick skills have not been mastered by every cook in the world. Thus, tweezers were created to bridge that gap. Place small decorations particularly with fine point tweezers. Handle delicate flowers, sugar decorations, and more with offset tweezers. Cook foods easily when using long straight tweezers. Decorate delicate plates with short straight tweezers. When it comes to more intricate and complicated dishes, tweezers are a must. Chefs have a particular image in their head for each plate, and using tweezers helps make their designs come to life more easily. Not only do tweezers help with decorating, but they also help reduce mess when plating different foods. More and more chefs turn to tweezers as savors in the kitchen because they work wonders when reducing messes. When handling chocolate and other easily melted decorations by hand, it’s inevitable to get a mess on your hands. Thus, many are discovering just how helpful tweezers can be when it comes to sanitation and efficiency. For these reasons, many establishments are now requiring all of their cooks use tweezers when it comes to decorating and plating. Sanitation is a main point in the argument to always use tweezers when handling food. Our hands carry many germs, even if we keep them washed. Using tweezers in the kitchen help prevent food contamination, so it’s the safer choice than plating, decorating, and handling with bare hands. Contact with food and bare hands is banned daily in establishments all over the world. Thus, sales in tweezers and nitrile glove continue to soar. Tweezers are great tools to use in a variety of restaurants, bakeries, catering services, and more. Using these inventive tools helps take your food to the next level. The preciseness and uniqueness added to dishes by use of tweezers will surely impress many guests. There are many different colors, designs, and lengths of tweezers, so you can always find one that you like to work with the most. Finding the perfect tweezer will only help you on the journey of exploring gastronomy.